At 2:45am this morning (Nov 26) Kamala Police officers led by Lt Pramawn Jaikrathok were patrolling Kamala Beach near Phuket Fantasea when they were approached by a distressed tourist wearing only his underwear. 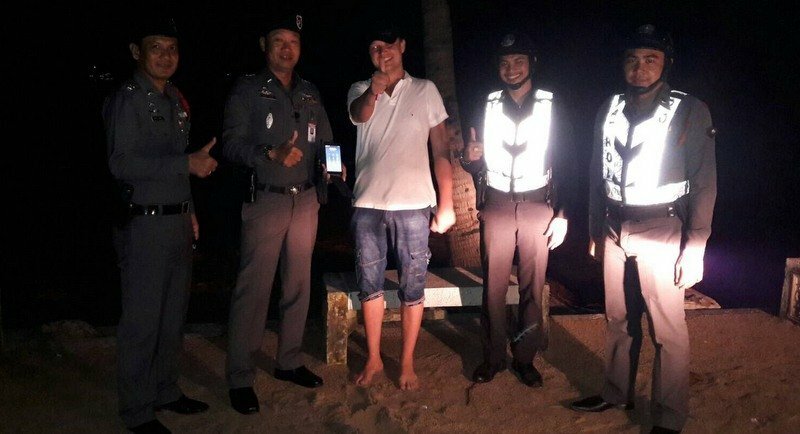 The man, a Russian national named by police as Mr Alex, told police that he went for a swim after drinking a few beers. He said he left his clothing and mobile phone on the beach but when he returned they were gone. Believing they were stolen, he decided to walk back to Kamala Paradise hotel where he was staying. Lt Pramawn said, “We asked Mr Alex to point out where he went for a swim but he could not remember the exact location, so we decided to search the area between the Muslim cemetery to police station. Police later accompanied, a probably rather sheepish, Mr Alex to his hotel where he thanked officers for being so helpful and said that he was glad that police looked after tourists so well.